Timothy Brittain-Catlin will be joining the world’s leading architects at the World Architecture Festival in Amsterdam at the end of November. The Festival’s super jury includes Sir David Adjaye and Nathalie de Vries, director and co-founder of MVRDV, and other participants include Simon Allford, Allison Brooks, Nigel Coates, Peter Cook, Deborah Saunt and many more from all over the world. Rem Koolhaas, Reinier de Graaf and Charles Jencks are among the speakers, and Catherine Croft, director of the Twentieth Century Society, and the editor and critic Catherine Slessor will also be participating. Dr Brittain-Catlin will be part of a judging panel that includes Joyce Owens of Studio AJO and Torben Østergaard of the international Danish practice 3XN for the Future Projects category. The Festival runs from 28th to 30th November and will be held at the RAI Amsterdam convention centre. The World Architecture Festival is the only global awards programme where architects present their completed buildings and future projects live to a panel of internationally renowned judges and delegates from around the world. This year there will be more award finalists to see, more presentations and prizes to be received, more delegates to network and more fringe activity than ever before. Historic England has announced this week that a number of major postmodern buildings will receive listed building status, thus preserving this important period of British architecture for posterity. 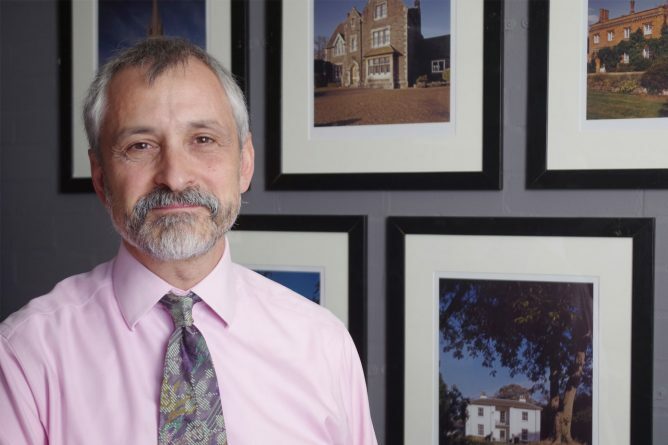 Dr Timothy Brittain-Catlin, CREAte member and deputy chairman of the Twentieth Century Society which campaigned for the change, hailed this as a major event in architectural conservation history. Dr Brittain-Catlin said ‘The Twentieth Century Society sees this announcement as an important turning point. Many of these buildings were at serious risk, and some were already being damaged or destroyed. This decision by Historic England comes as a result of a long campaign by the Society to draw attention to the monuments of British postmodernism and the risk they are at. We were the first to organise a major symposium on the issue, we made a presentation at the RIBA with a group of highly influential speakers, and we have organised walking tours and sell-out lectures to spread the word. It is important when making the case to protect buildings that show that there is wide public interest in them. ‘We won an important battle to protect James Stirling’s No 1, Poultry in the City of London from mutilation, and this latest decision shows that we were in the vanguard of the movement to protect Britain’s best postmodern heritage. Architectural historians Elain Harwood and Geraint Franklin from Historic England recently published their book on post-modern buildings in Britain in collaboration with the Twentieth Century society. Image: Dr Timothy Brittain-Catlin, Charles Jencks’ Thematic House has been listed at Grade I. 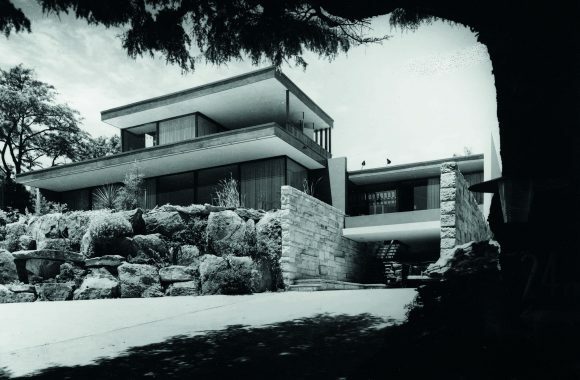 The Australian architectural historian and critic Davina Jackson, who has completed her PhD at KSA, will be speaking next week at a special event in London held by the Twentieth Century Society and The Modern House estate agency in London. The event, entitled ‘Douglas Snelling – Pan-Pacific Adventures in Modern Design and Architecture’ will take place on Monday 9th October at 6.30p-m in FCB Studios 20 on Tottenham Street in London. Davina Jackoson is the author of the first study of Douglas Snelling’s pan-Pacific life an works. Based in Sydney, Davina works as an author, editor and curator and writes extensively on modernist architecture and design in Oceania. She was also professor of a multi-disciplinary design at the University of New South Wales and an editor of Architecture Australia. For further information about the event, please see click here. KSA members can attend free of charge. 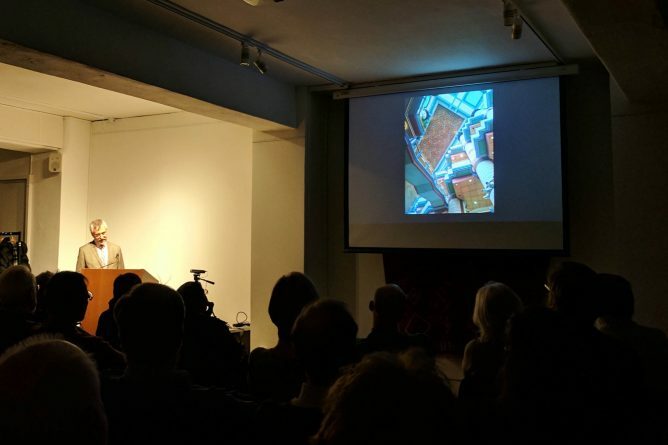 Timothy Brittain-Catlin spoke to a packed house on Thursday evening, 2nd March, on the subject of British Postmodernist architecture. This talk concluded a sell-out series on different styles in architecture organised by the Twentieth Century Society, the national amenity and building conservation group, of which Dr Brittain-Catlin is deputy chairman. The lecture was the first comprehensive reassessment of the style, and especially of some of its well known buildings from the 1980s. 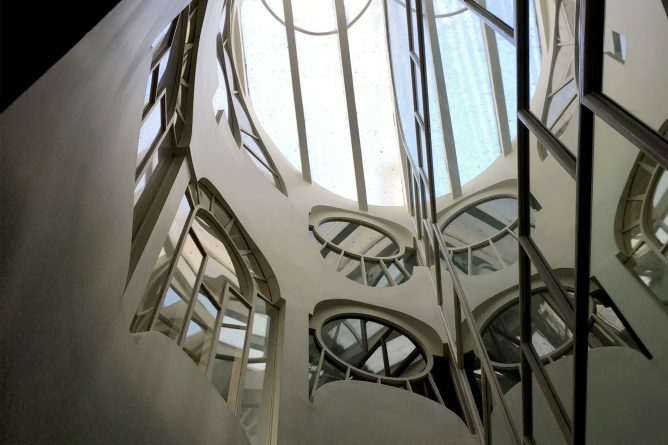 Raising awareness of postmodernism has become especially important because of the threat of demolition or mutilation to so many significant buildings. The Twentieth Century Society recent played a central role in the listing of James Stirling’s No 1 Poultry, in the City of London, in order to save it from unsympathetic changes. Another recent victory for the Society has been the decision by the Chancellor of the Consistory Court of the Diocese of Southwark to protect Thomas Ford’s 1951 interior at St John’s church, Waterloo.